Nissan first introduced it’s now popular minivan to the American market back in 1992. Currently in its fourth generation, the Nissan Quest has enjoyed many years of success that has included various updates throughout those years. The first major overhaul for the Quest came in 1998, and featured a complete redesign from top to bottom. New style, and a more powerful engine were the focus for the second generation, and the minivan has seen various updated styles since that first makeover that took place nearly thirty years ago. The seven passenger minivan has traditionally been offered in various trim levels, and the 2015 model year is no exception. With several trims to choose from, driver’s have the ultimate decision making power. While the base Quest model comes with the lowest MSRP, drivers will appreciate the amount of upgraded features in the next level up, the 2015 Quest SV. 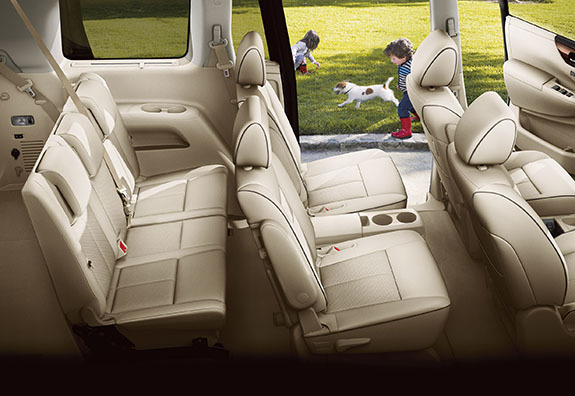 Regardless of trim level, the 2015 Nissan Quest is a self-proclaimed “Family Limo,” featuring an interior comfort unlike any other vehicle in its class. As any minivan should, the Quest offers some of the most advanced safety features as standard, and even more safety technology as optional equipment. 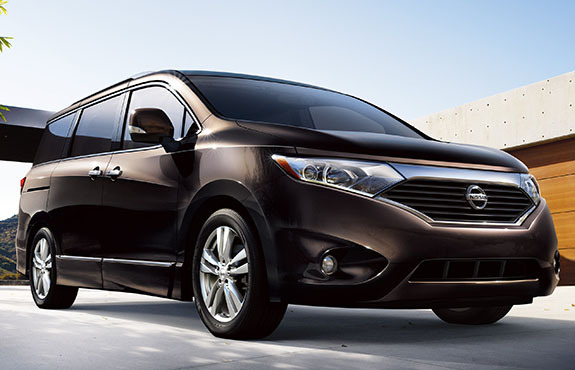 The 2015 Nissan Quest is available in four different trim levels, from its base S model, to it’s upscale Platinum trim level. In between the two, however, lies the Quest SV. With a starting MSRP less than $4,000 more than the base S, the SV offers great standard features. The Quest SV model snags an impressive 27 miles per gallon on the highway, and 20 miles per gallon in the city. The starting MSRP for the Quest SV is only $30,280 - and check out all that it includes. All of the above standard features are not even offered on the base Quest S model, making the SV the best overall value for less than a $3,000 price difference. Drivers and passengers will be able to appreciate the long list of added amenities, making every trip comfortable, entertaining, and stylish. 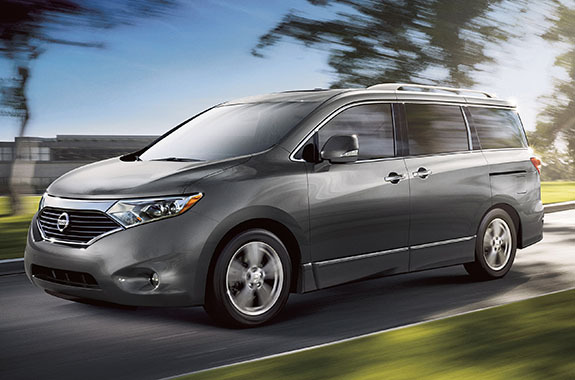 From first glance, the 2015 Nissan Quest stands out from all other minivans on the road today. With a sleek wraparound glass that encases the rear of the vehicle, and it’s new bold silhouette, the Nissan Quest is an unmistakeable force on American roadways. Nissan pulled out all of the stops to ensure that drivers and passengers would be able to appreciate every experience they encounter with the 2015 Quest. Check out the ways in which Nissan designers and engineers went above and beyond in the name of comfort and convenience. Utilizing an innovative combination of structure, seat frame, and padding, these seats provide the best support and comfort to help reduce fatigue over a long period of time. dded to the available 8-way power adjustable driver’s seat, these Quick Comfort heated front seats warm thighs, hips, and even your lower back. What more could you ask for in cold weather climates? Quieter than ever before, the 2015 Quest is equipped to transport your passengers in a smart acoustic interior, with optimized sound insulation. Road and traffic noises will remain where they belong - outside of your 2015 Quest. Conveniently located in the Quest’s dash, this leather-wrapped shift knob adds a luxury element to the minivan that is a welcome feeling at the end of a long day. This available feature allows two separate panels to open the cabin up to the outside. A minivan is a vehicle made to transport your most precious cargo. Getting where you need to go safely is a top priority. Nissan recognizes this, and has equipped the 2015 Quest with more standard safety features than ever before. Check out some of those standard features and available safety technologies below. Tire Pressure Monitoring with Easy-Fill Tire Alert - Going above and beyond this typical safety feature, this unique system will alert drivers with a friendly beep when their tire pressure is at the perfect point. No more guesswork. Blind Spot Warning System - Visual indicators work to alert drivers when a vehicle is in their blind spot area. Around View Monitor - Four exterior cameras work together to create a virtual 360 degree image of your Quest minivan, and displays it on the vehicle’s LCD monitor. No more guessing when it comes to backing around a tricky corner, or maneuvering into a tight spot. Front Seat Active Head Restraints - Helping to reduce the change for whiplash injuries, this technology protects front seat occupants by moving head restraints up and forward during rear-end collision.